Course Description: This course enables students to develop a deeper understanding of concepts in biology, chemistry, earth and space science, and physics, and to apply their knowledge of science in real-world situations. Students are given opportunities to develop further practical skills in scientific investigation. 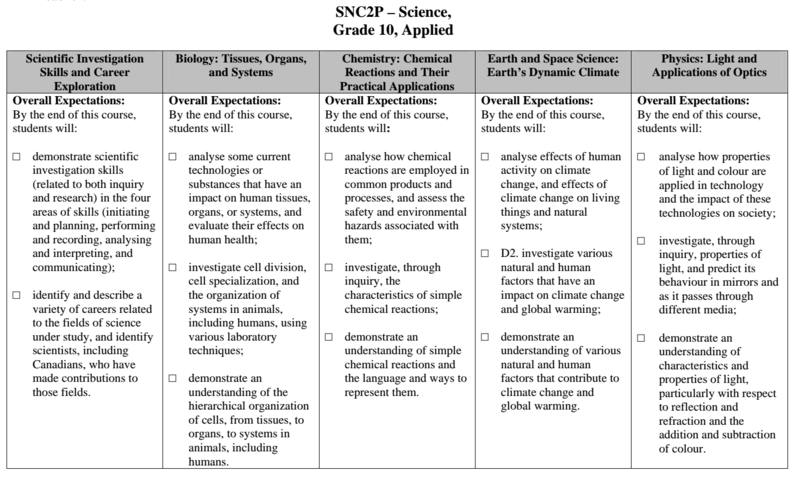 Students will plan and conduct investigations into everyday problems and issues related to human cells and body systems; chemical reactions; factors affecting climate change; and the interaction of light and matter. RST worth 10% of final mark: Students will research a career that they find interesting and discover how Science plays a role in that career.